Founded in 1722 in the current town of Falmouth, the Acadian Parish of Sainte-Famille is the second parish of the Pisiguit region. In 1996, remains of a pre-Deportation cemetery are discovered. 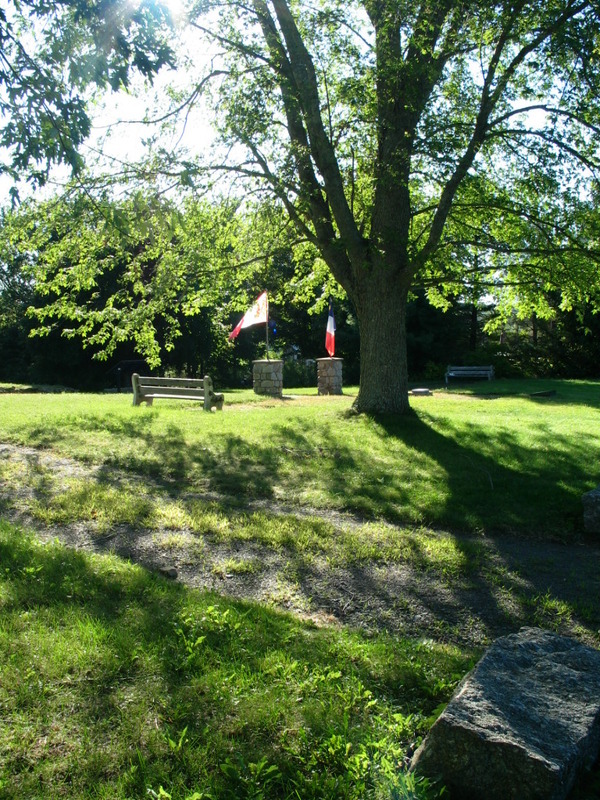 Based on studies undertaken by the Museum of Nova Scotia, the Sainte-Famille Cemetery contains approximately 300 graves. Rivette, Foret or Melanson: gather around the memorial bricks placed by the families in honour of their lost ancestors. 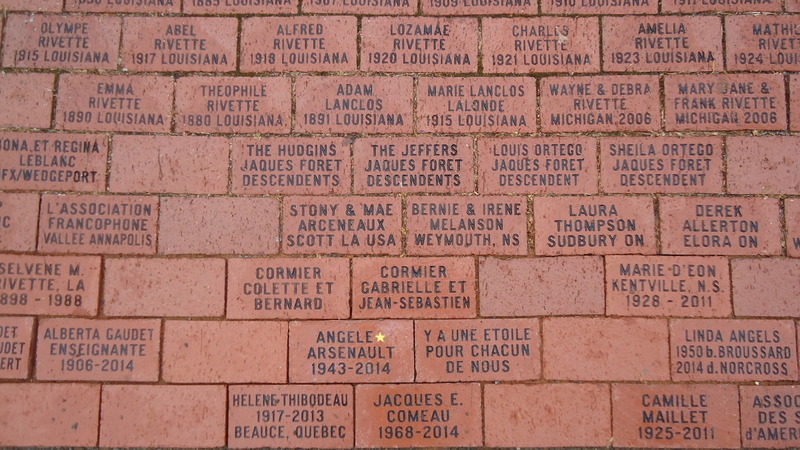 A plaque listing many Acadian family names. On August 8, 1698, the Parish of Assomption is founded, in what is now Windsor. However, the inhabitants who live on the other shore of the Pisiguit River - today the Avon River - want their own church, as the crossing is difficult. On June 28, 1722, the Bishop of Quebec issues an edict to create the Parish of Sainte-Famille. The two parishes are administered by a single priest who preaches by turn at each location on alternate weeks. It is in the Town of Falmouth, at 419 Gabriel Road, that the graves of Sainte-Anne Parish Cemetery are located. After the Deportation, the cemetery is forgotten. Only a few residents are aware of the site. In 1996, human remains are discovered. After an archeological survey by the Museum of Nova Scotia, it is estimated that the cemetery contains approximately 300 graves. In 2014, the skull of an Acadian child is reconstructed. It is given the name Claude, but the gender of the infant remains unknown due to lack of evidence.